2016 is Cub Centenary Year! Sign up for the camps and events through the year to celebrate 100 years of Cubs. For kids aged 6-8yrs - Beavers runs on Mondays during term time. We play games, do crafts, singing, visits and plenty of outdoor activities including camps and sleepovers. It may be the first time they spend a night away from home - a real adventure for them! For kids aged 8-10½ yrs, Cubs also runs Monday evenings. Kids take part in a range of interesting and challenging activities. Camps and activity days are often some of the most memorable events of the year for Cubs. Explorers is for kids aged over 14 yrs and Network continues the journey for young adults aged 18-25 yrs. These sections are organised at District level .. find out more here. BofA History: were you one of our Leaders? We'd love to hear from you if you were a leader for the 11th Bridge of Allan Scout Group at some point - either the 11th or the 44th (Beaconhurst offshoot)? Our Scout Group began in 1909 and we celebrated our Centenary in 2009. 2016 sees the Cubs celebrating 100 years of Cub Scouts - we're not sure how long Cubs has been running in Bridge of Allan, but know from Bridge of Allan Photographs Facebook page that it was at least as far back as 1960 when Mr. ('Skip') Graham was our Scout Leader. We'd love to know if you have been a part of our history so that our current Scouts, Cubs and Beavers can learn a bit more about our history. Drop us an email here if you can! 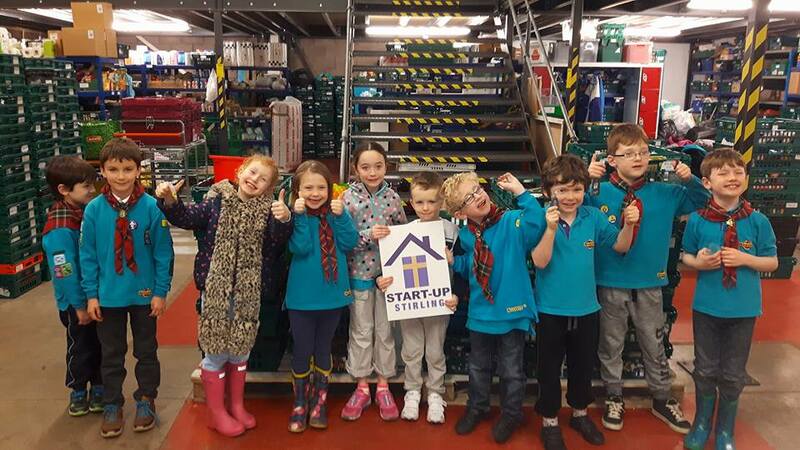 Beavers 'Start Up Stirling' ..
Half the Colony went to see how StartUp Stirling operated and took lots of donations of pasta, sauces, cereal bars, tins and other items that are in demand. The other half will make their visit soon! We hope the website will inform parents, members and anyone with an interest in our group about our organisation, including contact information, how to join etc. As these are 'closed groups' you need to have a Facebook account and request to join and then be verified as a parent/guardian/relative of an existing member which may take a day or so. That was the best thing I have EVER done! which is in Forth Region. Click here for information about Scouting in Scotland! Click here for general info on what we do and how you could help - and of course, contact us directly if you want to help us deliver Scouting in Bridge of Allan! The 11th Stirlingshire, now the 11th Bridge of Allan, started in 1909. 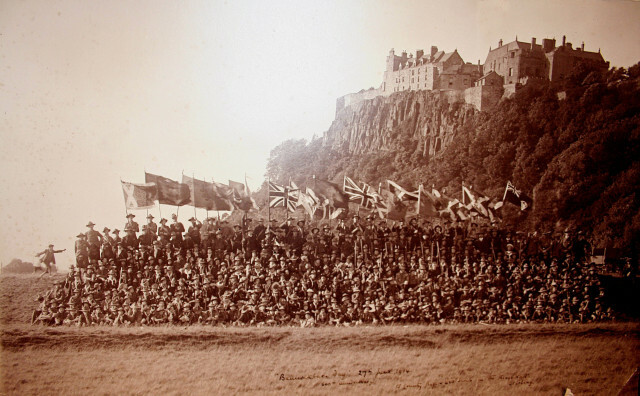 By 1914 Stirlingshire had 450 scouts across 16 troops as seen here for a gathering on Bannockburn Day of that year. Copyright © 2019 11th Bridge of Allan Scout Group. All Rights Reserved. Designed by JoomlArt.com. Joomla! is Free Software released under the GNU General Public License.